After entrusting his sacred political power to Lobsang Sangay in August 2011 and suggestions that his successor may be not be a reincarnation in September 2011, the Dalai Lama has radically and rapidly transformed the traditional structure of Tibetan Buddhism in an effort to stave off Beijing’s attempts to expropriate the religion. When the Dalai Lama, Tibet’s spiritual leader-in-exile, suggested at the end of September  that for the first time in 600 years his successor might be an emanation and not a reincarnation, he may have wrong-footed the Chinese government that runs Tibet — for the second time this year. China quickly rejected the proposal, which the 76-year-old Tenzin Gyatso, the 14th Dalai Lama, said has 14 years to be debated by Tibetans, with a final decision coming around 2025. Yet China’s rejection creates a deep irony: The tradition-proud Dalai Lama, and Tibetan Buddhism, now appear more modern and flexible than the self-styled modernizing Chinese state, which insists on the more old-fashioned and rigid reincarnation system, experts said. A first modernization move by the Dalai Lama came in March . In this 60th anniversary year of what China calls the “peaceful liberation” — and what Tibetans in exile and some in Tibet call an invasion — of Tibet by the Chinese People’s Liberation Army, the Dalai Lama announced he would end the 369-year-old Gaden Phodrang system of governance, which had made him both political and spiritual leader, and devolve political powers to an elected prime minister. Chosen by exiled Tibetans in April, Lobsang Sangay took office in August . Mr. Sangay’s six-person cabinet, sworn in last month, includes two women — another sign of change. The move has deep appeal for Tibetans, said Robert J. Barnett, director of the Modern Tibet Studies Program at Columbia University in New York. “His democratization strategy has huge resonance inside Tibet, because the Chinese constantly promise democracy but so far have not delivered it,” Mr. Barnett said by telephone. Relations between Tibetans and Beijing are often tense but have slumped further since a major anti-Chinese uprising in Lhasa in 2008. On Monday, a fifth monk, 17-year-old Kalsang from Kirti Monastery in a Tibetan part of Sichuan Province, set himself on fire to protest the suppression of religious freedoms in Tibet, according to Free Tibet, an advocacy group based in London. The Dalai Lama’s second modernizing move was on Sept. 24 . If the first was about politics, this was theological. In a 4,000-word statement, he tackled the sensitive subject of his succession. “When I am about 90, I will consult the high lamas of the Tibetan Buddhist traditions, the Tibetan public and other concerned people who follow Tibetan Buddhism, and re-evaluate whether the institution of the Dalai Lama should continue or not,” he wrote. Carefully couched in the language of Tibetan Buddhist tradition and culture, the statement did two things, said Mr. Barnett. First, it sent a message to China: Back off on the succession issue. In fact, the statement was the Dalai Lama’s long-awaited response to Order No. 5, issued in 2007 by Beijing’s State Administration of Religious Affairs, that it controls reincarnations. 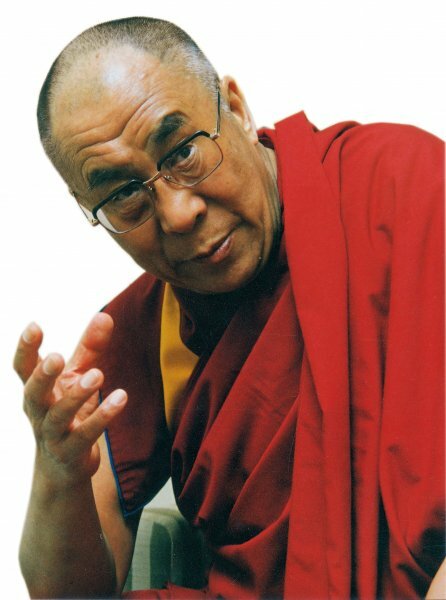 In a deeply ironic move for a materialist state that officially believes physical matter is the only reality, the order claimed the right to manage the reincarnations of all lamas in Tibet, who may number around 2,000, including the Dalai Lama, the most eminent one. “All reincarnation applications must be submitted to the religious affairs department of the provincial-level government, the provincial-level government, the State Administration for Religious Affairs and the State Council, respectively, for approval,” People’s Daily, the Communist Party mouthpiece, reported at the time. In his Sept. 24  statement, the Dalai Lama called the order “outrageous and disgraceful,” and said China’s insistence could cause irreparable damage to Tibetan culture. “Moreover, they say they are waiting for my death and will recognize a 15th Dalai Lama of their choice,” he wrote. “The concept of emanation is not a new theory or practice and is already well known in Tibetan Buddhism, with many high lamas also considered to be emanations,” Mr. Barnett wrote. “This is an intriguing and timely initiative that involves much creative recombining of important but neglected elements of Tibetan Buddhist precedent,” he wrote. For the Dalai Lama, emanating rather than reincarnating might be preferable because it is more flexible. A successor could be identified while the Dalai Lama is still alive, since a lama can have multiple emanations during a lifetime that are part of his mind stream. Emanating could solve the problem of the often messy interregnum in a reincarnation, since a child-successor can be identified only after a lama dies. An emanated successor may be recognized in one of three ways, wrote Mr. Barnett: belonging to the same mind stream as his or her predecessor, having close connections through karma and prayers, or being appointed. Last week, China rejected the change. “The title of Dalai Lama is conferred by the central government and is illegal otherwise,” said Hong Lei, a Foreign Ministry spokesman. “There is a complete set of religious rituals and historical conventions in the reincarnation of the Dalai Lama and a Dalai Lama identifying his own successor has never been the practice,” Mr. Hong said. Despite that, Mr. Barnett predicted in the interview that China would have to take notice, since the Dalai Lama’s proposal would change the “internal conversation” in Tibet, though it was unclear whether it would be fully accepted by Tibetans. “It does not fit the ground-plan Chinese officials appear to have been working from and so could have implications for their policies,” he said. By claiming control over all reincarnations, the Communist government has boxed itself into a theological corner, Mr. Barnett said. “It may also be that this message is saying, ‘You’ve set yourself in stone as controlling reincarnation, demanding a right to control that, a claim which is offensive to most Tibetans,”’ he said.